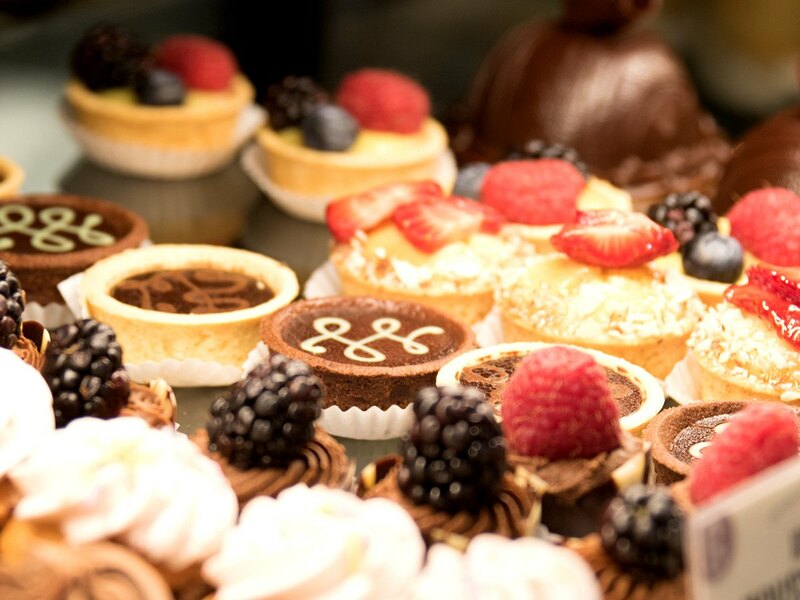 Let Oliver’s Bakery and Café make your life extra delicious. 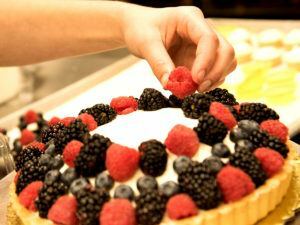 You’ll find house-made delicacies and some of the best treats from all over Sonoma County. Cakes, pies, cookies, breads, espresso and smoothies, we have it all! Some say you can judge a grocery store by its bakery, and we have to agree! 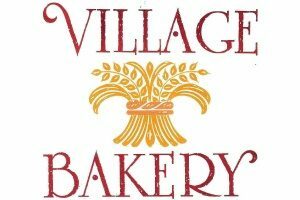 We have you covered with locally baked artisan breads, pies, sweet pastries, and house-made cakes, cookies, brownies, focaccia and more! Wake up with a wheatgrass shot or a fresh smoothie from our juice bar. 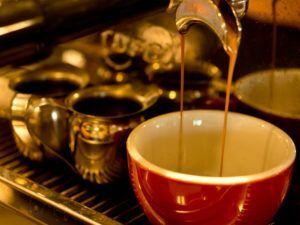 Let one of our expertly trained baristas take care of you with some local Bella Rosa coffee. Get through the afternoon slump with a root beer float or milkshake and you’ll be flying high the rest of the day. Choose from dozens of wholesome and sweet sensations from Sonoma County’s best bakery – ours. We bake the world a better place. 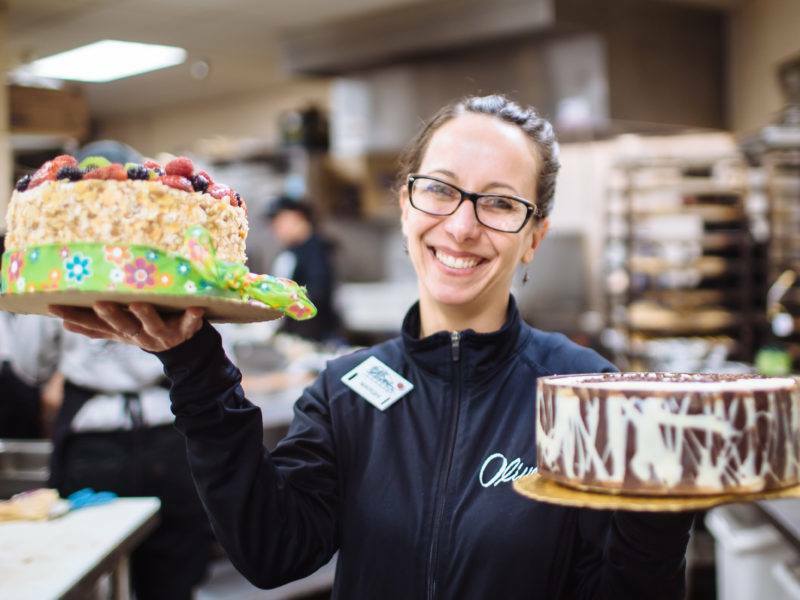 You’ll find the most passionate and experienced team of bakers, cake decorators, pastry chefs and baristas at Oliver’s Bakery & Café. They combine their many talents with some of the finest ingredients available to produce award-winning cakes and desserts that are perfect for your event, be that dinner for one or a huge wedding. Marghi Sulas, our bakery coordinator, works with local bakeries to curate a diverse selection of desserts, breads and pies that will give you a taste of some of the best treats from around Sonoma County. We believe the house-made products you can find in our bakeries truly set us apart from what you’ll find in other grocery stores and markets. All of our icings, mousses, curds and ganaches are made in-house and we use locally made ingredients whenever possible in our recipes. 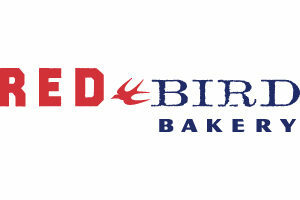 Our Windsor location houses our bakery commissary where they make our Oliver’s Own cookies (8 varieties in all! ), focaccia, brownies, granolas, pies and more. Our selection is continually changing, highlighting the best of what’s in season. We dare you not to fall in love! If cakes are wrong, we don’t want to be right. Have we mentioned how much we love cakes? We have you covered for any occasion you can think of. 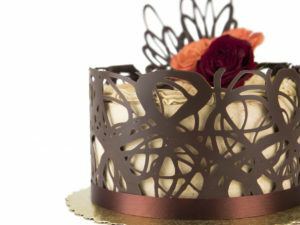 Our everyday Oliver’s Own cakes come in six-inch and eight-inch sizes with choices for every occasion and are available at the bakery counter. They come topped with fresh flowers, seasonal fruits and shaved Belgian chocolate. 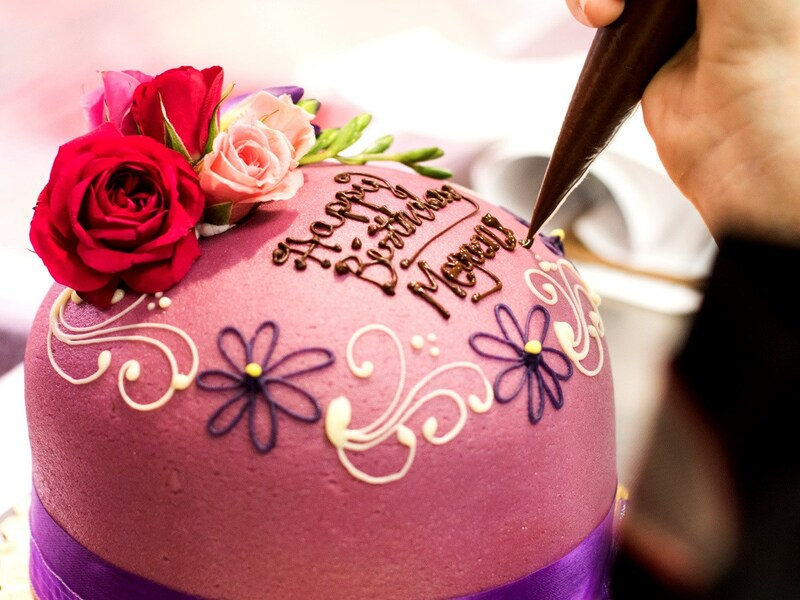 You’ll be amazed by the talent of our cake decorators who can customize cakes for birthday parties, baby showers, weddings and more. To order, call or visit one of our four Sonoma County locations. Bakery Department Coordinator Marghi has been with Oliver’s since 2008, when she joined the Stony Point store as a Baker and Cake Decorator. She became Assistant Bakery Department Manager in 2010, and Bakery Manager at Stony Point in 2013. In early 2015, she was promoted to her current role.